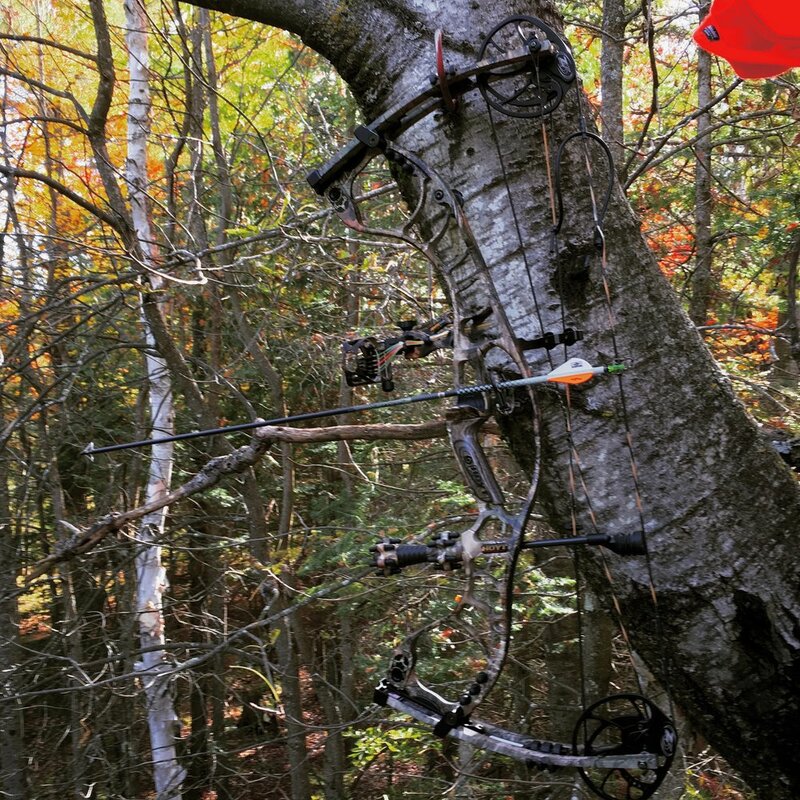 This bow season I was very fortunate with how quick I was able to take down a deer. 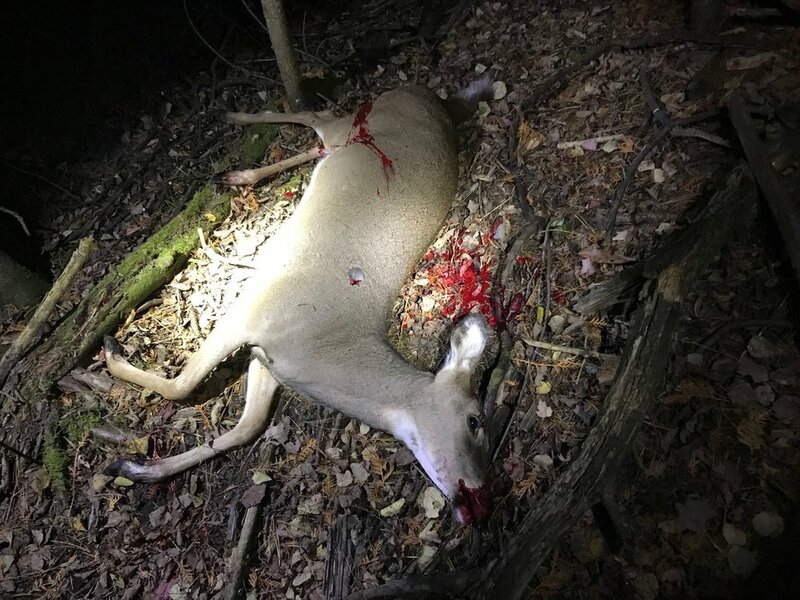 Usually I spend a few scattered weekends each month of the fall trying to get a deer down, but this season I managed to get a doe on my first weekend trip up north! I shot the doe right around sunset - maybe 15-20 minutes of hunting time left for evening. I was in a cedar tree stand and saw doe crossing me from right to left coming from back corner towards of forest. I took the shot as she slowly approached some apples I had put out - she was maybe 2 feet away from them. Easy, short shot using my top pin - a perfect lung shot. Deer maybe ran 30-40 yards before laying down. Best blood trail I’ve ever had. As my dad and I were tracking her in the dark forest I said, “I bet we can stop looking down with our flashlights and just shine them forward and we will see her”. Sure enough, there she was. After field dressing, the land owner helped us haul her out with his UTV. Brought deer to Meatski’s for roasts, steaks, sausage and sticks. Was a very good hunt! Slick Trick Magnums did awesome an job. Did not use any calls on this evening hunt - just sat quielty and patiently.